Maimane campaigns in Durban - SABC News - Breaking news, special reports, world, business, sport coverage of all South African current events. Africa's news leader. DA leader Mmusi Maimane has visited Welbedacht at Chatsworth in KwaZulu-Natal. Residents of a transit camp in Welbedacht at Chatsworth, south of Durban, say they continue to live in shacks with pit latrines, 25 years into democracy. 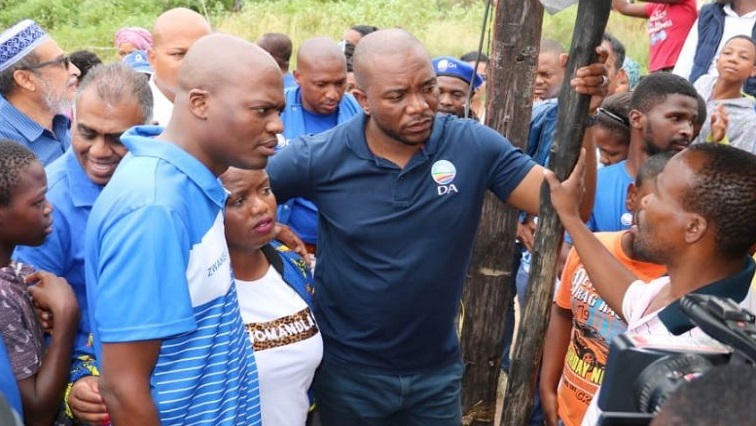 Democratic Alliance (DA) leader Mmusi Maimane visited the camp that is in DA-led Ward 77 in the eThekwini Municipality. The area is battling dire poverty, inadequate housing, sanitation and unemployment. Thirty-five-year-old Sashika Govender laments her living conditions. "Here in KZN you have suffered for too long under racial and tribal politics. We need to reform our politics to speak of values, to speak of policies and to speak of big ideas, rather than of race.